Billiards tables and poker tables and other game table choices may not be the perfect fit for the energy of your loved ones. 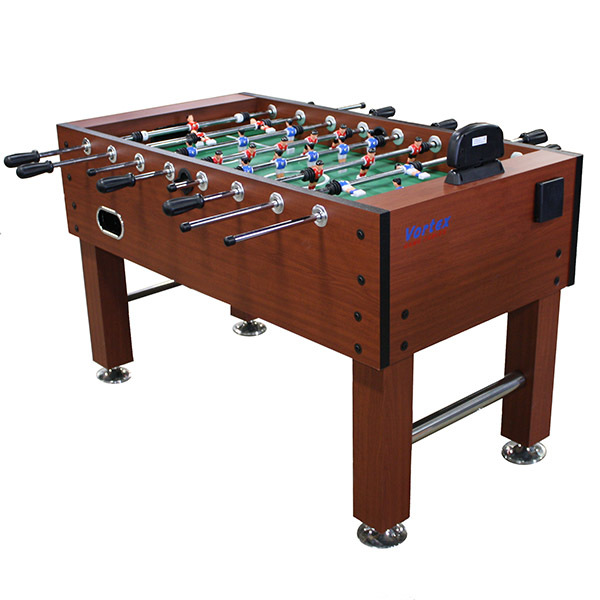 Foosball brings a lighthearted, energetic experience to a game room or basement recreation room. The Enforcer Foosball Table by Vortex is a high-tech version of an exciting game room classic. It features a classic foosball playing field marked with traditional soccer boundaries. There are four handles of players for each team to control. The scoring, though, is kept with an electronic scorer that is mounted above the goals for easy scorekeeping and visibility. Foosball can bring a much-needed relief to long nights of back-to-back sit-down games. The Enforcer is brilliantly designed to slide neatly into your space, and features a furniture-style finish for a dynamic visual appeal.